We’re more than business law specialists. Reeve Augustine Alarakhia, PLLC is part of your team that creates outside-the-box strategies for your company. Clients seeking a business lawyer for representation in the areas of corporate law, business litigation, and employment disputes turn to Reeve Augustine Alarakhia, PLLC in Dallas County, Tarrant County, and the surrounding North and East Texas areas. Our business attorneys’ deep-rooted presence provides qualified experience in all facets of law as it pertains to companies, corporations and franchises, employment issues, and representation before local government entities. Our attorneys handle all types of business law for corporate legal matters relating to the formation, operation, and sale of businesses in the Dallas – Ft. Worth region and across the country. Attorneys Jason Augustine and Jay Reeve represent many corporate clients for one-time transactions or projects, or for companies’ multiple requirements throughout the lifecycle of their businesses. A solid knowledge of our clients’ industry, company and goals business and objectives is the cornerstone of a great business attorney-client relationship, and aids us in determining what makes the best business sense for each case. Likewise, we adhere to the importance of communication and the productive flow of information, with regular contact and interpretation of recent developments. 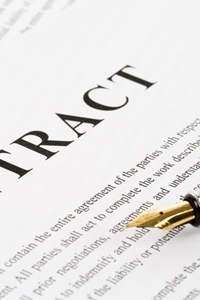 Corporate Law for solid structure and procedures in your business. Contact one of our Texas law offices to learn more.